How much are you disturbed by other people in your office? Are you constantly distracted by the conversations going on around you? If so, you’re not alone. This type of workplace is designed to build a culture of openness and improve business performance and productivity. It’s good in many ways and encourages collaboration, spontaneous interactions and flexibility. But beware – there are disadvantages which management should be aware of. So where do we go from here? 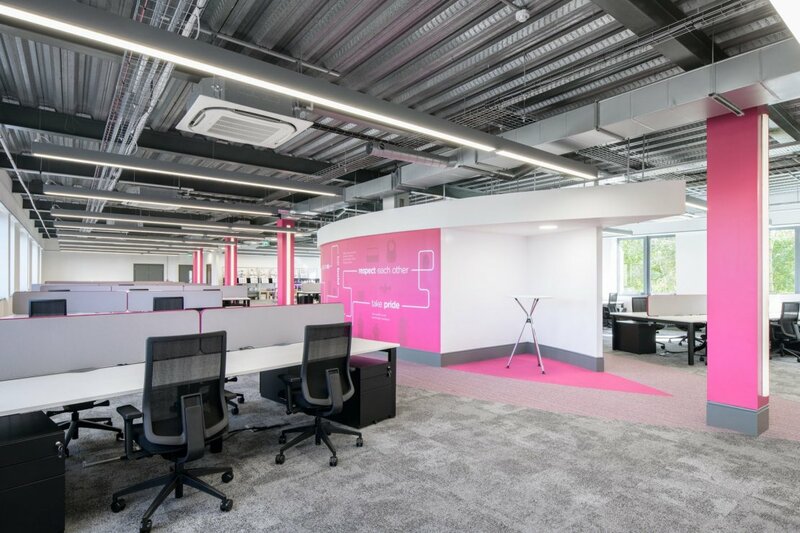 While discussing workplace designs with clients, we notice that although management and staff tell us they mainly benefit from open working, at times, noise levels, being constantly distracted and not having somewhere private to make calls or to concentrate can be a major source of stress. Because of this, Ben Johnson Interiors always designs workplaces with acoustics at their core. There are lots of different ways we can do this and often we include them all. 1. 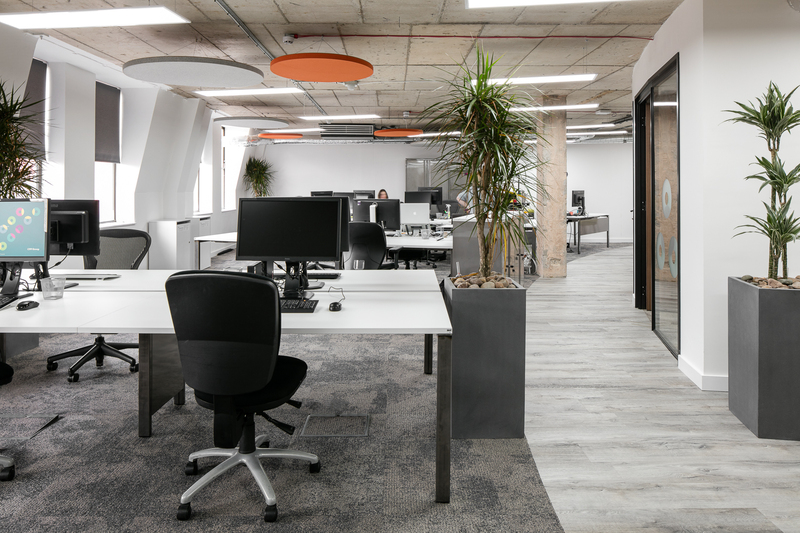 From the start, spending time defining the layout of a workplace is critical because the positioning of walls, dividers and partitions is crucial to maintaining an optimum acoustic level. You will have to balance their effectiveness with their appearance. You need the services of a qualified space planner followed by concept design for this. See how we go about it here. 2. 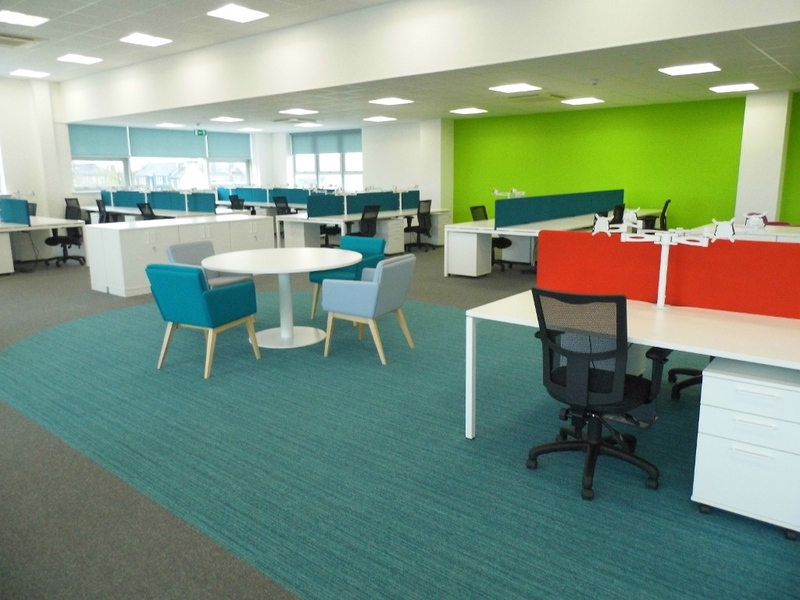 We usually suggest providing informal collaboration zones close to a main working area whilst ensuring this furniture is set apart from the nearby desks, is high backed (or enclosed) and created in sound-proofed material. Here’s such a collaboration area close to desks that we installed for Iparadigms, an educational technology company in Newcastle. 3. 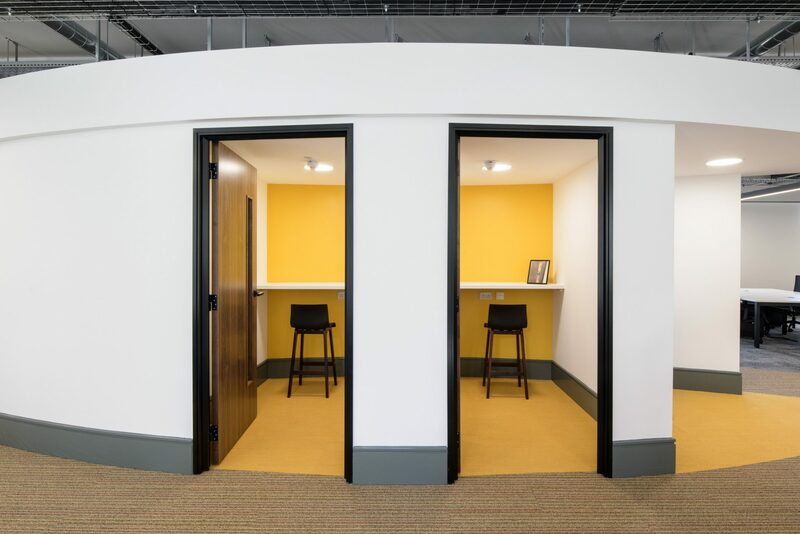 We suggest, design and build a variety of sound proofed booths and phone booths for private phone calls and intense tasks close to work areas. Here’s an example in our global HQ workplace for Mayborn Group. 4. 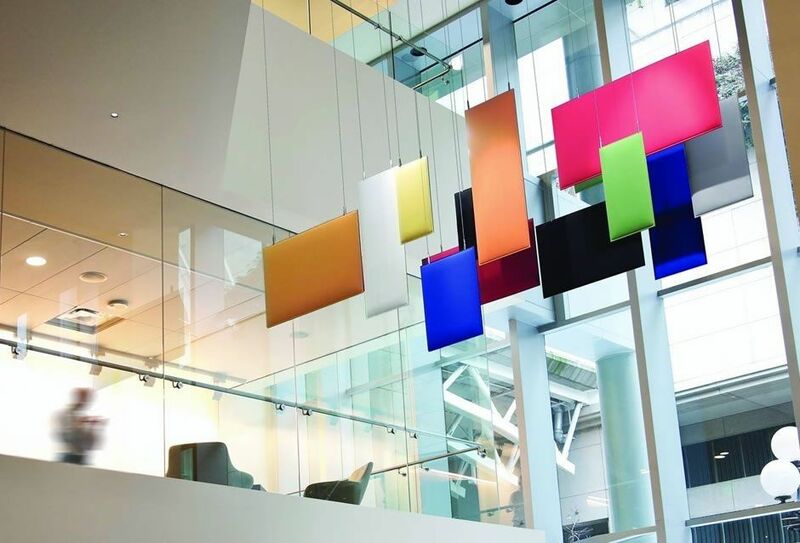 We can absorb noise at source using numerous products which can be suspended from ceilings or installed on walls. 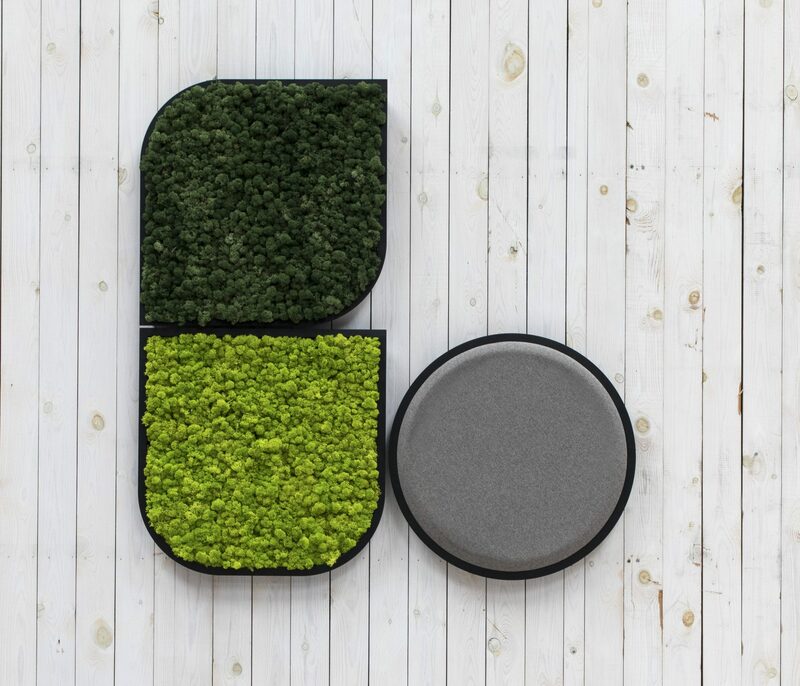 These recently launched acoustic BuzziSpace wall panels come in all sorts of different geometric shapes and are created in light, or dark green moss. You can make your own graphical wall art, bring nature into the office and improve noise levels too. 6. 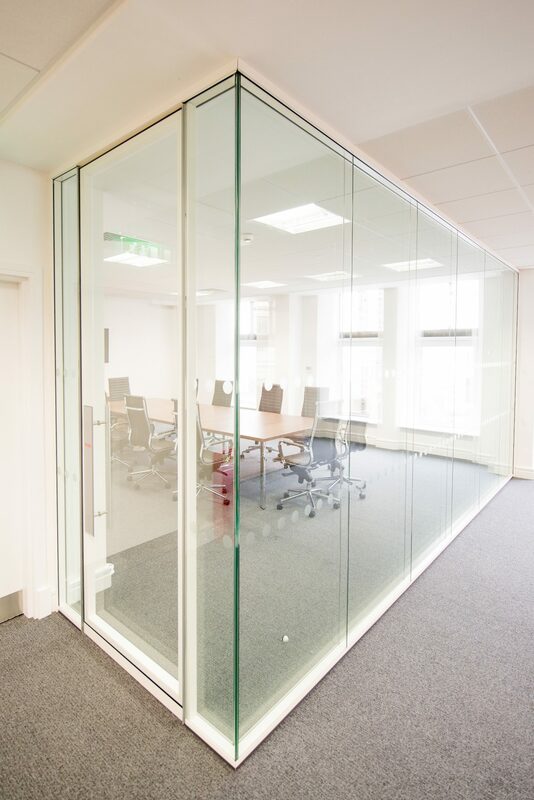 Blocking noise is also subtly possible through the careful placing of screens, barriers and extra walls between the noise source and the work areas. 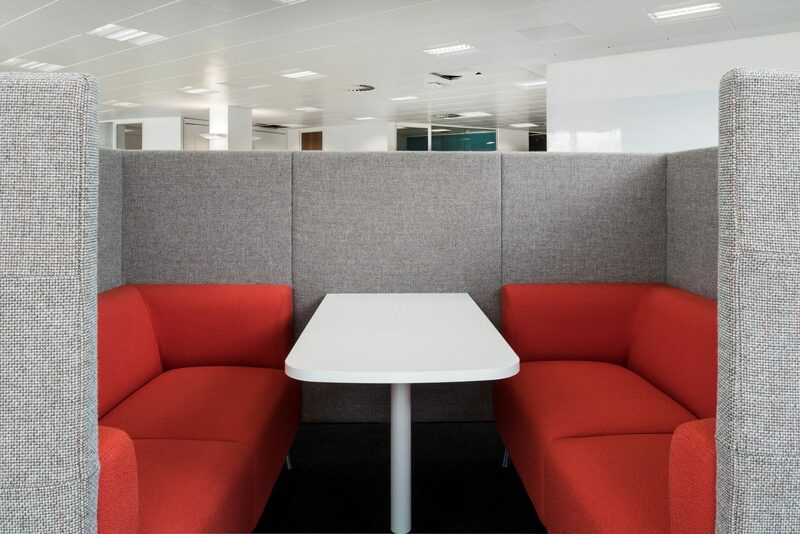 Sound absorbing screens can also be attached to the workplace furniture. 7. Coverings in general – carpeting and fabric wall coverings can greatly improve workplace acoustics. 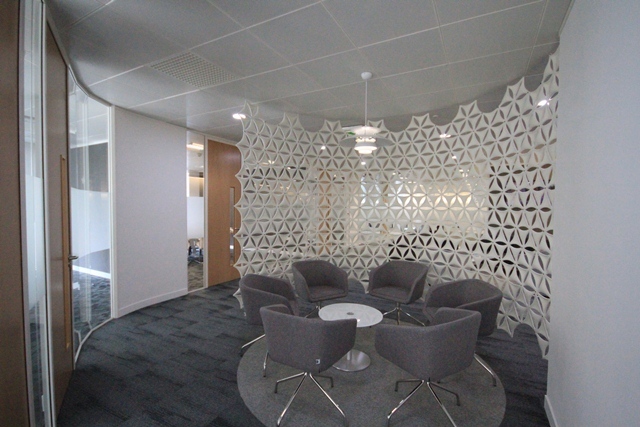 Whilst designing and building a new HQ for CPP Group in Leeds, acoustics were a major priority. 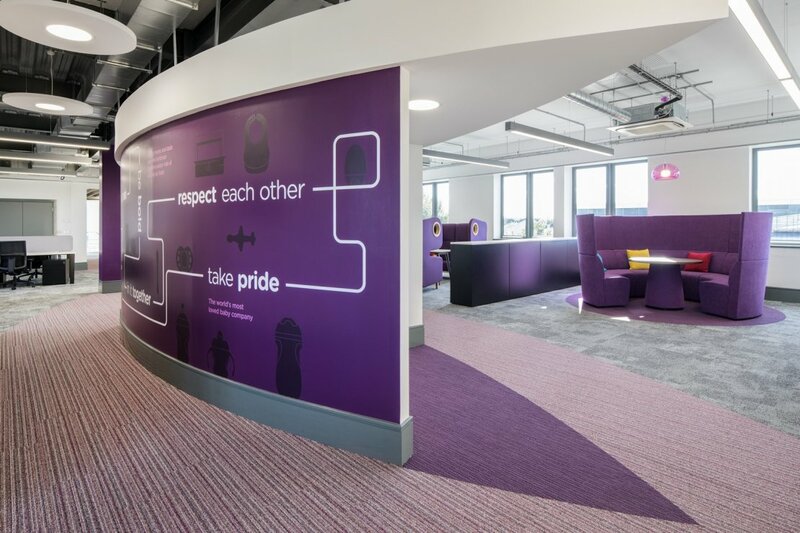 We managed this with the use of carpeting and acoustic baffles in desk areas and informal meeting points, high backed sofas and suspended ceilings with rock wool within the meeting rooms. Rock wool is made by melting a combination of rock and sand and then spinning the mixture to make fibres. Rock wool insulation provides thermal and sound insulation and can be used as a firestop between floors. 8. As well as simple design techniques illustrated above, many clients also adopt a workplace noise “best practice” policy – so teams and individuals are aware of their own “noise” for the wellbeing of everyone.